The Union Public Service Commission (UPSC) has announced the result for UPSC NDA (2) 2018. The candidates can check their result through the direct link given on this page. The UPSC NDA 2 examination has been conducted on September 09, 2018. The candidates have to undergo the written examination, later qualified have to attend Service Selection Board round. At last, qualified candidates will get admission to Army, Navy and Air Force wings of the NDA. Everything you want to know about UPSC NDA (2) 2018 is given here including dates, eligibility, notification, application form, admit card, result, cut off. Latest: UPSC NDA 2 Result has been announced, register for SSB within two weeks. Written exam of UPSC NDA (2) 2018 will consist of an objective test with two subjects – Mathematics, and General Ability Test. Each subject paper will be of 2.5 hours duration and have maximum marks of 900. UPSC has provided a complete syllabus of NDA exam also. Study for UPSC NDA (2) 2018 exam by studying topics given in the syllabus. Candidates who clear cut off of written exam will be allowed to appear for SSB interviews. SSB test or interview will also be of 900 marks. Final selection will be after SSB interviews. Admission to NDA and NA will be on basis of written exam result followed by intelligence and personality test held by Services Selection Board. Certificates related to eligibility have to be submitted after the declaration of NDA 2 Result. UPSC has announced the NDA (2) 2018 result of written examination after the successful completion of it. The Qualified candidates will be moved forward to attend SSB interviews and tests, details of which will be e-mailed to them. The Union Public Service Commission will decide the cut off for the written exam. NDA 2 Cut Off 2018 will be the minimum qualifying marks. UPSC arranges candidates with marks more than or equal to qualifying cut off, in order of marks obtained to arrive at merit list. Such candidates will be declared to be qualified in NDA 2 Result 2018. Candidates will appear before Services Selection Board. For Army and Navy wings of NDA and 10+2 Cadet Entry Scheme of Indian Naval Academy, SSB will assess on Officers Potentiality. Those for Air Force will be assessed in Computerised Pilot Selection System (CPSS) and Pilot Aptitude Test (which forms the whole PAB Test) and for Officers Potentiality. PABT applicable to candidates with Air Force as the First choice would also be conducted for all SSB qualified candidates with one of the choices as Air Force subject to their eligibility and if they are so willing. UPSC publishes cut off marks or qualifying marks after the declaration of result. 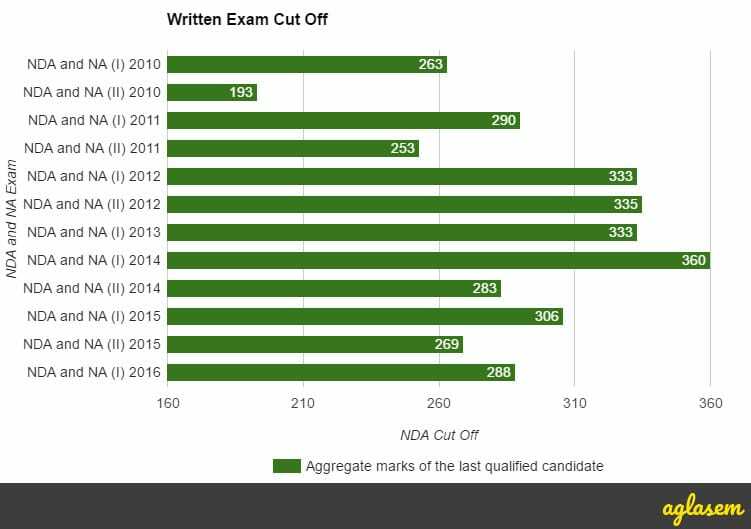 Here are past year cut offs of NDA exam. Applicants has been issued admit card by UPSC after the successful completion of the application form. NDA admit card 2018 can be downloaded from upsc.gov.in. RID and date of birth or password are required to download it. Only those candidates can download admit card of UPSC NDA (2) 2018 who have submitted the application form on time. UPSC only released admit card in online mode. If admission ticket (admit card) is not available even one week before the exam, then such candidates need to contact the Commission. Any discrepancy should be brought to the notice of the Commission. In some cases, the name of the candidate may be abbreviated. For the sake of the candidate the vacancy details for UPSC NDA (2) 2018 is given below. Candiates need to ensure that they fufill eligibility criteria before filling application form of NDA 2 2018. Criteria for eligibility involve nationality, age limit, gender, marital status, educational qualification, physical standards. Person of Indian Origin (PIO) who has migrated from Pakistan, Burma, Sri Lanka and East African Countries of Kenya, Uganda, the United Republic of Tanzania, Zambia, Malawi, Zaire and Ethiopia or Vietnam. Date of birth must lie between January 02, 2000 and January 01, 2003. Only male candidates can appear in NDA exam. 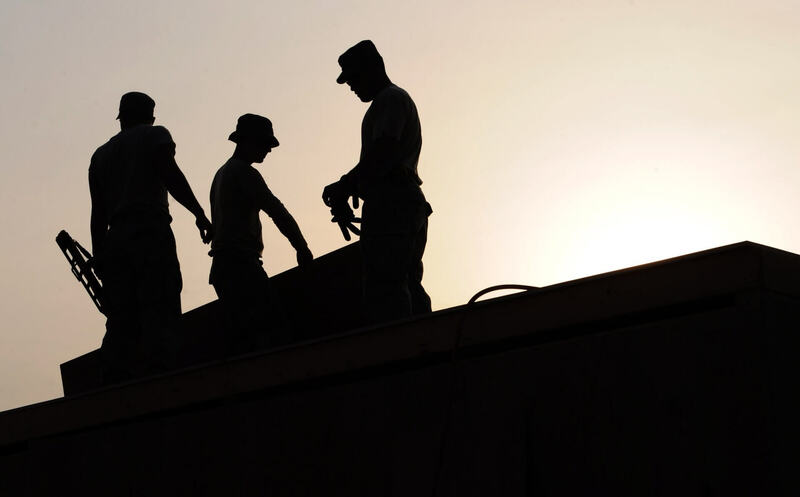 Candidates needs to undertake not to marry until they complete their full training. Army Wing of National Defence Academy eligibility criteria – Class 12 pass of 10+2 pattern. Air Force and Naval Wings Wing of National Defence Academy and 10+2 Cadet Entry Scheme of Indian Naval Academy eligibility criteria – Class 12 pass of 10+2 pattern with Physics and Mathematics. UPSC prescribes physical and mental fitness. A guide for fitness required for NDA and NA admission 2018-19 is given notification. Read it and make sure you are fit. Most common issues found due to which candidates get rejected are these. Permanent body tattoo is only permitted on inner face of the forearm. Army, Navy, Air Force may permit tribes with tattoo marks on face or body as per existing custom and traditions on a case to case basis. Application Form for UPSC NDA (2) released. Interested aspirants applied online from the official website. Application form of UPSC NDA (2) 2018 was filled only by eligible candidates. Application Form was filled and submitted on or before its last date. It must be noted that the only method of applying was online. Provide valid email ID as UPSC may send notifications to it. Mention services to which UPSC needs to consider candidature, in order of preference. New preferences cannot be added later, or order is changed. Date of birth must match DOB in matriculation or equivalent certificate. If there is any discrepancy between the date of birth given in application form and that of certificate then the Commission will take disciplinary action. To not marry until completion of training must be kept in mind. Even if the application is accepted, if candidate marries then his or her candidature is not accepted. Submit a single application form. If however due to some reason you have to apply again, then make sure that form with higher RID is correct and complete. Think over examination city and decide wisely. You have to select exam city in form and cannot change it later. UPSC NDA (2) 2018 written examination will have objective type questions only. Mathematics and General Ability Test Part B (GK) will be bilingually set. SSB selection will be a two-stage selection process – Stage I and Stage II. Only such candidates who will clear stage I can only be able to appear in stage II, else they will be sent back. For more details on UPSC NDA (II) 2018, download Notification.